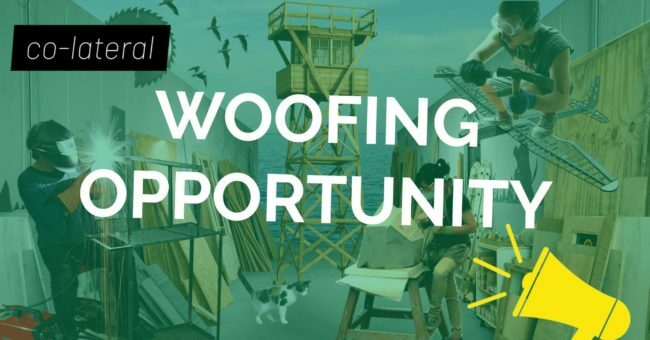 We have some wwoofing spots in our sustainable and social architecture organization. Our current research project and green roof prototype for our production centre are up and running and we are now looking for some support in this journey. Please read more info about our green roof plan. Critical Concrete sets up a new model to refurbish social types of housing and cultural initiatives through architecture workshops. It is an emerging educational and social initiative that stands out of the regular dynamisms of real estate development and promotes new mechanisms to rehabilitate social housing and improve public and cultural spaces shared by low-income communities. It advocates a fundamental right to adequate housing, that is often disregarded due to lack of public resources or a political regulation. It reflects on increasing popularisation and influx of global capital that causes social polarization, rising rents and cost of living in the city of Porto and beyond. Instead of building for, we build with. The most impactful format that Critical Concrete runs is the annual international practical and theoretical Summer School. Families in-need, students and interdisciplinary group of mentors, researchers and practitioners team-up to demonstrate the collective power capable of changing people’s housing habits. In parallel, Critical Concrete hosts open cultural events such as winter screenings, markets, workshops, twisted with the social sciences and architectural experimentation. The initiative emerged from dissensus with prevailing building industry practice, which is one of the most damaging industry in the planet. That is also one of our motivation to collect, invent and promote alternative building solutions. It questions the political meaning of sustainability in architecture, which has ambiguous connotations. Critical Concrete follows its own understanding of sustainable architecture: long lasting and easily repairable structures, made of locally sourced materials and upcycled trash. Critical Concrete aims to be accessible to a broad audience of DIY builders in the future. Come give a hand and get some opportunity to learn wood, metal or even stonework! Accommodation – wwoofing in Portugal type of exchange! Hospitality will be provided like in a normal wwoof exchange: free food and accommodation.